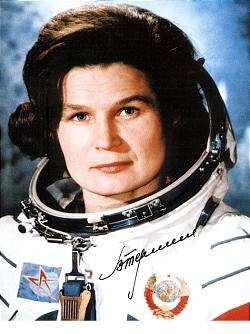 the first woman, Valentina Tereshkova, was selected to go into space. before a second woman would be sent up into space. 1969 ridding the opportunity of the other four women in the original five to go into flight. It wouldn’t be until 1983 that the US sent its own woman into space (Learning Haven). has lives in Moscow at the age of seventy-six. Learning Haven (n.d.). Fun Facts about Valentina Tereshkova, the first woman in space.